The CCS sourcing team is just back from Ethiopia with some samples of the most recent harvest. This is a rare chance to cup early in the selection process and book some amazing lots. Email Nico to reserve your place. Partly in celebration of our new partnership with Fairfield Trading and mostly in celebration of the fantastic work of the ambitious and skilled coffee producers in the Acevedo microregion of Huila, Colombia, we're excited and proud to announce the Acevedo Cup competition! 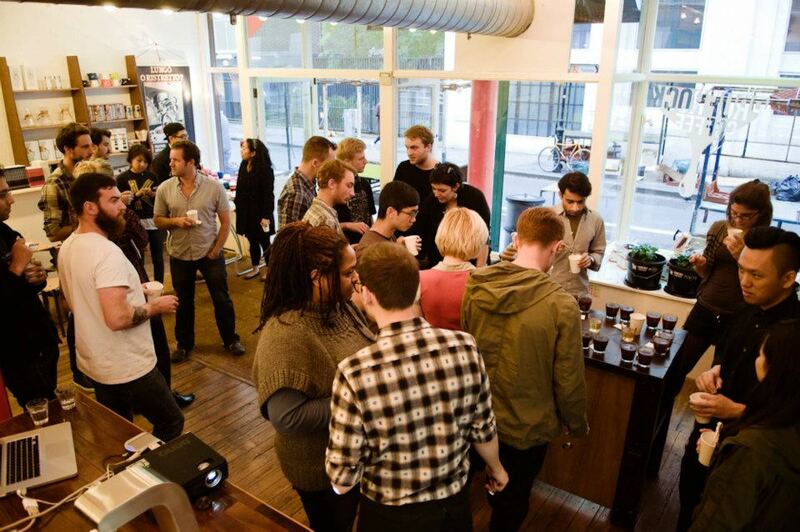 A regional coffee quality competition. The Fairfield team has put out a call to Acevedo coffee farmers for submissions of their best coffees. They will spend the next weeks busily collecting, organizing and cupping/screening samples in preparation for the main event: a ranking of the top-20 coffees that we are now inviting you to take part in. Participation is open to CCS clients and will be determined on a first-come-first served basis. We will take the first six roasters who confirm their attendance. You will get yourselves to Bogota and we'll take things from there. You'll arrive in Bogotá no later than the 15th of December and we'll all depart for Pitalito on the 16th of December. Move over vin et fromage - le cafe: c´est arrivé! That´s right light-roast lovers: no more the robusta filled double espresso, non! Never again the frothed-to-butter café au lait, sacré bleu! Because for two days only the culinary capital of the world will be transformed into coffee´s The Place To Be. O la la! Over the 26-27 of October, we will be holding a two-day coffee extravaganza in the world´s most romantic city. Come, stuff yourself silly with crumbling patissiere whilst cupping some of the most delightful coffees your bouche will ever be amused by. 1. Sourced by The Collaborative; roasted by You A unique opportunity to cup, compare and contrast coffees sourced by the Collaborative and roasted by individual specialty roasters across Europe. 2. Presenting: BRAZIL The Collaborative will be accompanied by Cup-of-Excellence-history-making producers. Together we will showcase the newest, freshest and boldest coffees available to Collaborative customers from the regions of Carmo de Minas and Piatá. 3. The Enlightenment Series: Processing! Varietals! We have invited leaders in their fields to come and talk to us about their research on the effects of different processing methods on the quality of coffee and cup profile, and the advantages and disadvantages of pioneering varietals. This is the cutting edge of agronomy and coffee production and an exclusive opportunity: don´t miss it! Plus plenty of time for getting to know fellow specialty roasters from across the continent, award-winning producers and researchers from Latin America and of course The City of Lights in all its autumnal glory. So: dust off your can-can shoes, practise your verb conjugations and loosen your belt a notch or two: nous allons à Paris!